The Capitol Steps probably couldn't have picked a better year to celebrate its 35th anniversary. The satire practically writes itself after this election cycle — "At what expense?" is a question for another time. The popular comedy troupe released its 40th (at least) album this year, "What to Expect When You're Electing," with songs and routines parodying Donald Trump, Bernie Sanders, and Hillary Clinton, and a farewell to President Obama. The comedy troupe is again making its annual New Year's Eve performance at Nazareth College on Saturday, with a new 2 p.m. matinee show. 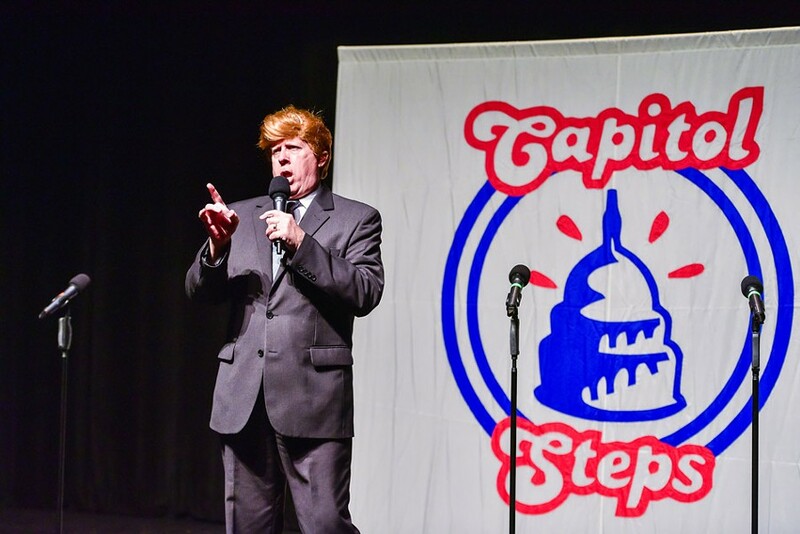 The Capitol Steps will perform Saturday, December 31, at Nazareth College's Arts Center, 4245 East Avenue. 2 p.m. and 6:30 p.m. $45-$75. 389-2170; artscenter.naz.edu.